One million copies in a month? Pretty impressive. Starbound, the latest big splash onto the scene of indie-exploration games, has already sold over a million copies according to developer Chucklefish. That's pretty impressive considering that the game is still in beta and it's only been available for purchase for a month! Maybe it's not so surprising, however, if you consider that the game's crowdfunding project (conducted through their own site) raked in nearly 2.2 million dollars, 600K in the first three days alone. People wanted this game then and apparently they want it now, too! I've been playing this game some with a few friends and have been enjoying it quite a bit. It's still clearly a beta, (we've experienced a couple crashes, a world deletion, and a strange equipment swapping glitch), but issues aside, they haven't detracted much from the game. If you're interested, you can pre-order Starbound (which grants you instant access to beta) either on Steam or Chucklefish's website for $15. 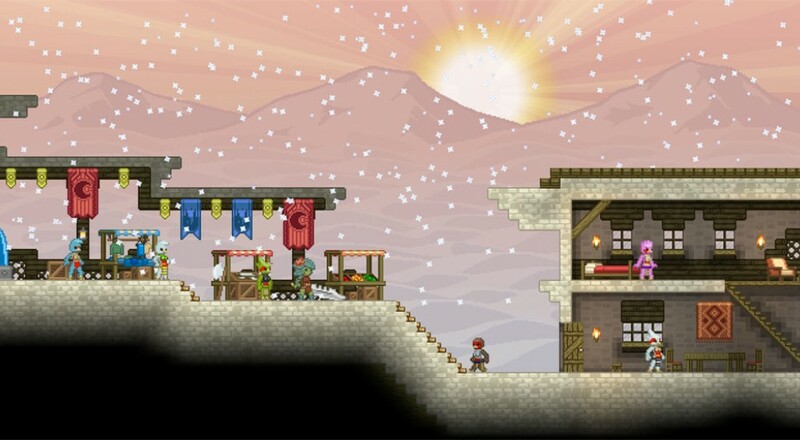 Starbound supports up to 8 players in online co-op on the PC. Starbound Combat Update Overhauls Battle System... Again!